Messina is a historical romance novel with a very unique setting: the aftermath of the destruction of the Sicilian city of Messina in 1908 from natural disasters. The author makes her protagonist doctors, Lucy and Giovanni, part of the relief effort. We are put on the ground with them to be eyewitnesses to the tragedy. This story is rich with Italian culture, romance, medicine, faith and some very moving melodramatic touches. 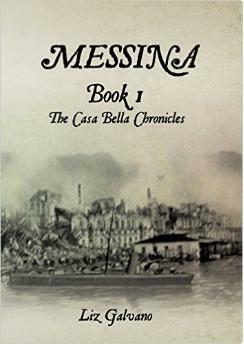 In many ways Messina is an old-fashioned novel with the monumental setting, characters writ large, the force of history ever present, belief in God central to the characters' story, and a pure romance between a saintly man and a virginal woman. The author makes the most of these elements to create a ripping good yarn, to use old-fashioned language. 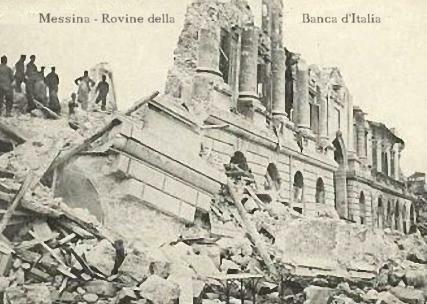 The Messina (and Reggio) earthquake hit on December 18, 1908, at 5:20 a.m. and was quickly followed by multiple tsunamis. Fire then hit the ravaged city. 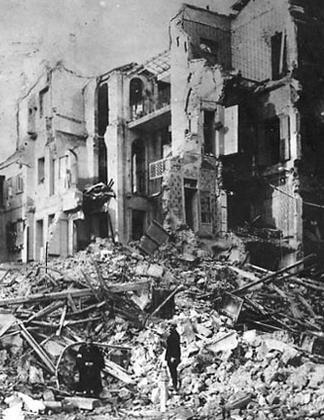 Ninety percent of all buildings in Messina were destroyed. 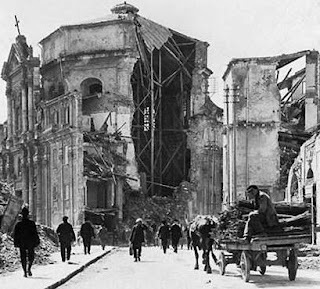 Because of the timing of the disaster, most of the city's 200,000 inhabitants were in bed when the quake hit, so they were buried in the ruble. The unprecedented disaster prompted an impressive international rescue and relief effort. Mass emigration of survivors occurred to other cities in Italy and abroad. New Messina was built over the ruble of the old city, making it several feet higher than the old city. The few buildings to survive the disaster are clear to see, sitting several feet lower than their surrounding buildings. 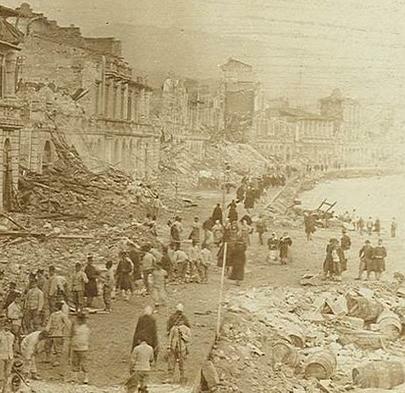 Many of Messina's survivors refused to return to the reconstructed city. They did not want to live over the unmarked tombs of their compatriots who were never dug out. Dr. Lucille James is a young American surgeon who has a severe case of daddy-worship along with a chip on her shoulder and a dent in her self-esteem. Her relationship with Dr. Giovanni Castello, a driven, ascetic surgeon who is damaged from traumatic loss, is the central emotional story in Messina. However, the ravaged city's story is told too, with heartrending details that can make the reader feel like they were there on the ground. The total devastation surrounding our heroes creates a war-zone feeling, and their tented hospital quickly takes on a M.A.S.H. feeling with emotionally and physically exhausted personnel struggling to maintain their humanity and sanity. Giovanni quickly forms a tight bond with Lucy so he can protect her from a place where she insists on being. Their relationship grows into friendship and beyond. To have someone befriend and accept her made even the ragged mess tent seem a beautiful place. The narrative style is 3rd person limited, letting us in only one character's mind. But the point-of-view of the narration alternates generally between Lucy and Giovanni, but we also get to see into the minds of a few of the supporting cast. The characters grow though the events related, each blossoming into a better person by the end. There are some medical scenes that may be a bit much for the squeamish, but they are quick and the author does not revel in gore. By the mid-point of the novel, the medical story and the disaster of Messina takes a back seat to the growing love story. The romance language flows then. Every time he held her, she felt the same way, as though she had always been a part of him. Lucy and Giovanni are an attractive couple, each becoming a better person through their love for each other. Theirs is a chaste courtship, however, in this clean romance novel, since both of them embrace their religious convictions and the proscription of intimacy before marriage. Their faith is integral to the story, just as peoples' faith was generally much more integral to their lives in those days. One of the supporting cast is Lucy's father, Henry James. Yes, I know, it is an unfortunate choice to name him after the famous author. It distracted me throughout the tale, to be honest. Dr. Henry James is a bigot and a father who created a much too intimate relationship with his daughter. 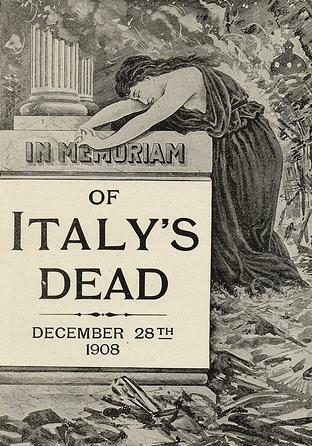 The author includes much about Italy in the story, and many Italian words and phases. To help the reader, she provides an Index with translations of the Italian used in the book. The peasants in Sicily at the time are shown, as well as the landed aristocracy, of which Giovanni is a member. The customs and traditions of the aristocracy, which are closely linked to Catholicism, are touched on in interesting detail. Messina is an old-fashioned romantic drama in the style of The Painted Veil. Ominous words from the stone-faced physician at the temporary hospital greet her: “Welcome to hell, Miss James.” No description could be more accurate. 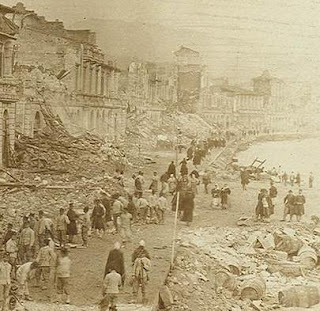 Earthquake, tsunami, and fire have razed Messina, Sicily. In a single night in 1909, one hundred thousand people never wake up. Physician Lucille James is determined to help despite horrendous conditions, almost non-existent medical supplies, and the opposition of the medical community she worked so hard to join. Giovanni Castello, the man facing her now, stands as her biggest opponent. Surrounded by blood and death and pushed to the edge of exhaustion, Lucille relies on God as her only option. When God gives a gift, after all, a person must use it. Will she have the strength, courage, and faith to do so? My Grandfather Santo Munastra was a survivor of the December 28, 1908 Messina Earthquake and Tsunami in Sicily. He was 14 years old living in an orphanage in Messina. He was the only boy to survive in his dormitorio and was helped out by a passerby. A British ship was in the Port and my grandfather Santo and other children who survived were taken to a sister orphanage in Catania, Sicily. Growing up, I listened to his stories and realized what a miracle it was for him to live through this catastrophe. I can definitely relate to this book. Thank you for your comment. Your grandfather was one lucky boy. Yes, it seems a miracle he survived. And he must have had some amazing stories to tell. 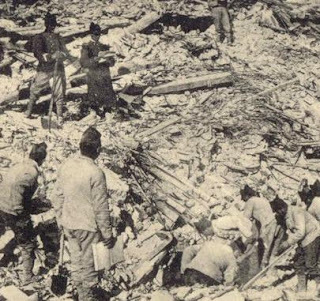 I'm always amazed at how few people know about the history of Messina, but perhaps that's because so few people survived to tell their story. I hope people read this book and others about Messina to discover the amazing story of what happened there. Tante belle cose, Candida.